Design Ruler. TH92481. IDE92481. It has a grid background for perfect placement a center measuring guide a straight edge for drawing lines a metal edge for cutting and evenly spaced holes for piercing. 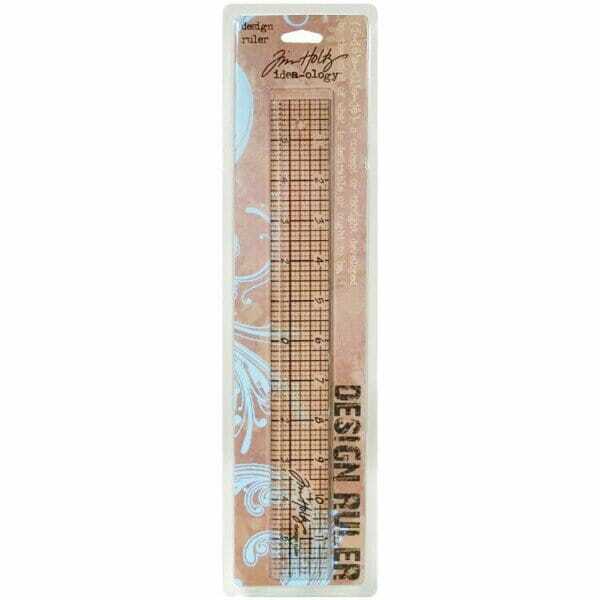 Customer evaluation for "Tim Holtz idea-ology - Design Ruler"